Understand the wall and roof choices for your timber home. While the structural frame may be the star of the show in a timber home, the enclosure system (translation: your walls and roof) is what protects the house from the exterior elements. Plus, depending on what materials you choose, this system can create a high-performance house boasting environmentally- and budget-friendly efficiency. While each timber company has their own preference for enclosure systems, there are a few different options to choose from. A couple overriding considerations need to be taken into account when choosing a system, as well as the details about each option. Structural insulated panels, or SIPs, have been around since the 1970s and have been growing in popularity ever since. 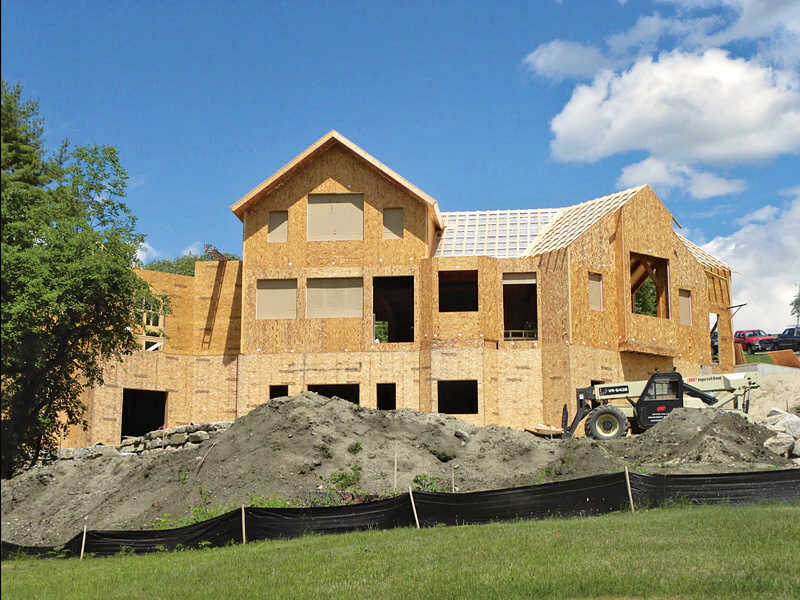 In basic terms, SIPS are made from a ½-inch layer of oriented strand board (OSB), a layer of foam, which varies in thickness depending on your insulation needs, and another layer of ½-inch-thick OSB. The layers are glued together much like a sandwich. Your team of professionals will work to apply the panels’ structural benefits to your home’s timber frame. Using SIPs may possibly reduce the need for knee braces and other timbered elements, saving you some money. SIP panels are produced off-site and shipped to your property by the manufacturer when you’re ready to have them installed. They come in a variety of sizes, with all the angles, windows and door openings cut out and ready for installation. They’re screwed to your roof and wall timbers and also can be used in areas that are not timber framed in place of conventionally framed wall and roof systems. SIP homes have extremely low levels of air infiltration because there are fewer gaps to seal. This airtight characteristic makes heating and cooling your timber home more economical in both your monthly energy bill and the smaller size HVAC units your home will require. 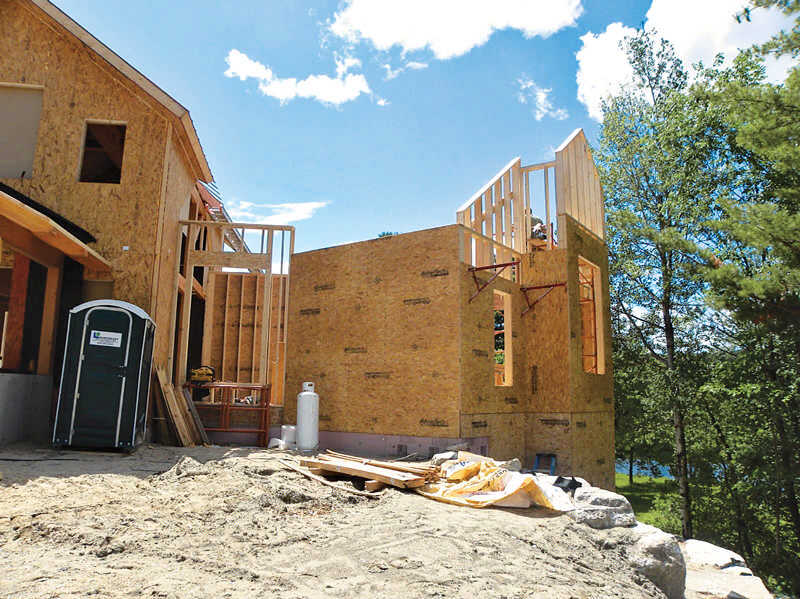 Homes built with SIPs are able to keep a consistent temperature and have fewer drafts and less noise infiltration than standard construction buildings. When properly installed, they maintain a higher whole-wall R-value than stud walls of similar proportions. If you opt for structural insulated panels (SIPs) for your timber home, the panels will arrive at your site pre-cut and ready for installation. Conventional framing mimics the system used in standard construction (the way that most of the homes in the United States are built) and consists of 2-by-4-inch and 2-by-6-inch pieces of lumber for the wall framing and 2-by-8-inch, 2-by-10-inch, 2-by-12-inch or premade roof trusses to create the roof. This all gets sheathed in a plywood or OSB layer that ties everything together structurally. To use conventional framing in a timber home, the walls are constructed and stood up and installed around the timber frame. Some people use the infill system, putting the conventional wall inside the timber frame. This is not recommended for exterior walls. As the timbers dry and move through the seasons, you will certainly get air infiltration through the gaps that are created between the walls and timbers. This will increase your energy costs as well as potentially giving you moisture problems in the future. Electrical wires and insulation work can be completed as usual and you will have a choice of standard insulation types that you can put in the walls. To match the tightness and to get the insulation value of a SIP, you will need to use a spray-in polyurethane-based foam for your walls and your roof. According to the “Three Little Pigs” fairy tale, straw makes a poor option for a sturdy house. A straw-bale house, though, is nearly impossible to destroy. Straw-bale homes are not only pretty strong, they’re also incredibly energy efficient. (Most straw-bale walls are R-30, compared to the R-17 of a conventionally framed home.) In this type of construction, the bales are typically 16 inches high, 18 inches wide and 36 to 40 inches long. The straw is often the waste product of the cereal grain industry. Despite its natural construction, straw-bale houses are not fire hazards. 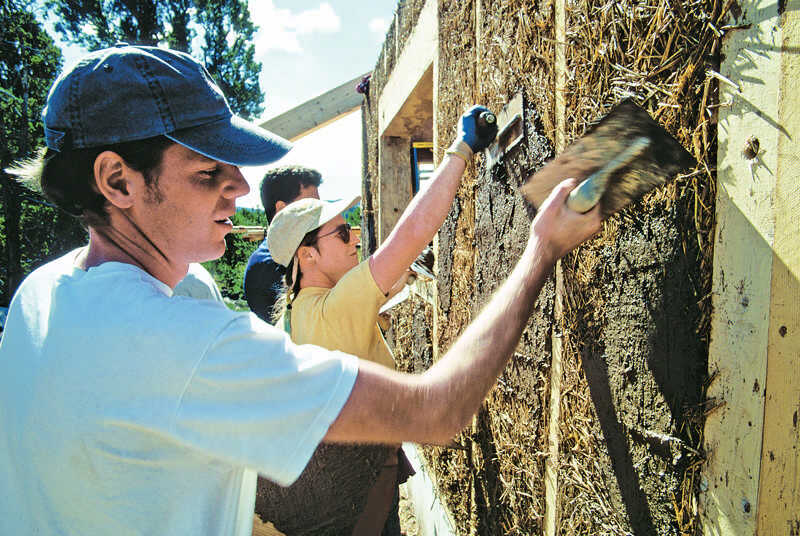 In fact, clay plaster-covered straw-bale walls can withstand heat of up to 2,000 degrees Fahrenheit for more than one hour. Fire needs fuel and oxygen; the straw is packed so tightly that it chars on the outside but never combusts. Also, when constructed properly, straw-bale houses shouldn’t experience water damage or infiltration when the bales are covered properly with the clay or cement plaster.